Balanced and Fit………a fitness journey! Last week Sunday I posted that I was off to Toronto to cover World MasterCard Fashion Week. It was the end of my week 4 since starting my fitness journey, “Balanced & Fit”. I can’t believe a month has flown by! This past week this quote picture really inspired what I was going through. 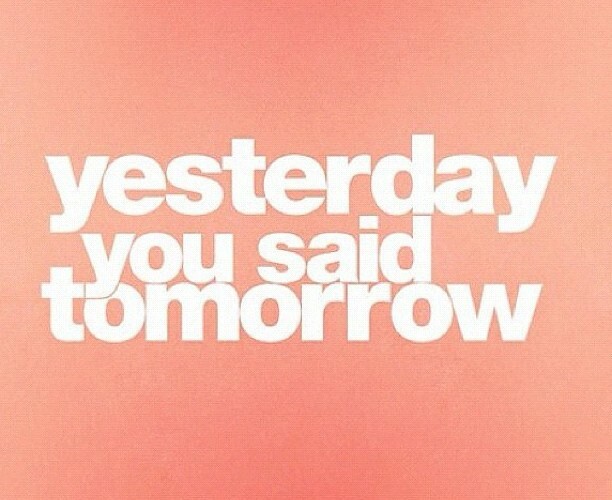 For as long as I can remember I have always been a busy girl and many times said to myself, I will workout tomorrow. Then tomorrow comes and I say tomorrow again! I realized that this mindset has to stop, if you continuously say this, you will always find excuses. As I have said in earlier posts, you have to make a healthy lifestyle part of your everyday. Now there may be times when you just get so busy that you end up missing a workout. All you have to do is #1 not beat yourself up and get discouraged. Instead, you need to make a promise that come tomorrow you will put those running shoes on and get to the gym and give it all you’ve got. There will always be distractions and challenges in life, but you have to be kind to yourself and know you are human and are allowed to have off days. You just have to stay strong! Now I get to fill you in on this past week and how I stayed strong on the road to finish off my week 5. Before leaving for Toronto I spoke with my trainer Hanan from Hanan Fitness and expressed I was concern with going away and having a hard time staying on track. She reassured me that I would be ok, I just had to stay focused and schedule in time for my workouts. So that’s what I did, I made sure that before I headed out for a long day at fashion week I would get my workout in. While I was away I was able to get in all 4 days for my weight training schedule. It’s funny that this week I actually could notice my body gaining some muscle tone. It’s encouraging to see the results starting to show from all the work I have put in. I did have one challenge this week with my workouts, I ended up staying at two different hotels (with one having a limited weight area). The first hotel had a great set up for their weights, I was able to get in all my exercises with the various fitness equipment and free weights. The second hotel only had a stand of free weights (luckily I was on day 4 so it was only the one day dealing with this), so I did my best with what I had. I actually found some creative ways to workout my targeted muscle group. You can still get a good workout in with limited equipment. As for my diet, well that was a bit more challenging with being on site all week at the shows. I made sure that I ate a good breakfast, usually an egg white omelette or oatmeal and berries. This was good during the long hour days as it kept me full throughout the day and my blood sugar level. At fashion week I was blessed to be a part of the Target Media Lounge as they had a great set up for food and beverages. I was able to snack on nuts, fruit, vegetables, turkey and unlimited bottles of Smart water. Now because I have promised to be 100% Honest, there were many temptations a long the way. But with all this said I only gave in a few times to the occasional macaroon or lemon tart. All in all I stayed focused. I found with seeing my body change and the results starting to show, the yummy treats did not seem so desirable. One thing I did do (courtesy of a suggestion from Hanan) was to carry some protein bars in my purse in case I found myself going for a long period without eating (which totally helped). Honestly with weight training, I have been finding it more and more easy to consume a lot of water. I have continued to take the Glutamine and BCAA’s and don’t feel as sore after my workouts. I really thought it was going to be difficult to be away from home, stay in a hotel and eat out so much. But……..it just takes some planning, preparation and effort to make good decisions. I always feel like a pain going into restaurants and asking for special requests, yet it wasn’t so bad. Every restaurant was more than accommodating, you just have to ask nicely. It really is no different than having food allergies and eating out. At one of the places I even enjoyed chicken fajitas, just with no oil and lettuce wraps instead of the tortillas, YUM! Well it’s on to week 6 and I can’t wait to hit the gym (I can’t believe I’m saying that). This is an idea that I’ve wanted to know more about for a great deal of time. Thank you for the post!